On the 14th of August, 1945, the USS Torsk fired the last torpedoes of the Second World War. Those shots sunk 2 Japanese Coastal Defense ships, the last enemy sinking of the war. In 1968, after a long post-war career, she was decommissioned and in 1973 she was berthed in the Baltimore Inner Harbor. I looked at her for years, but had never gone aboard and taken the tour. Christmas of 2008 we went to Baltimore to visit family. 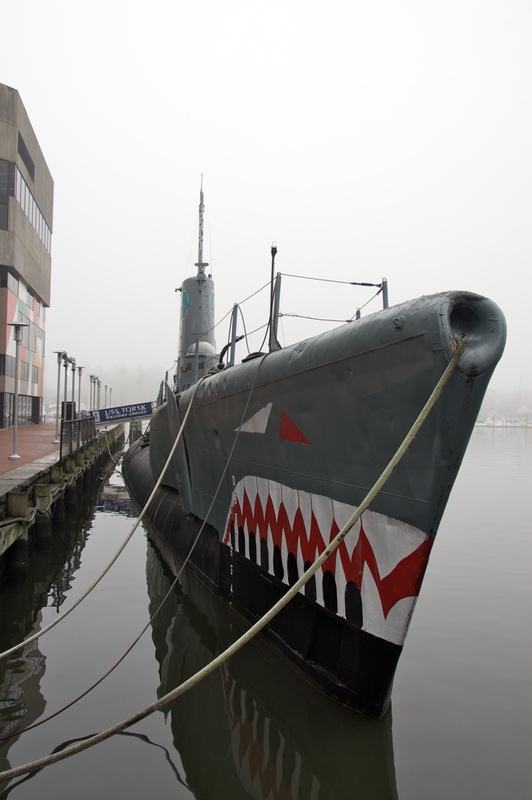 Two days after Xmas, on a misty, foggy morning, we found ourselves wandering the Inner Harbor. I decided to take the tour while MLW went shopping. “I’ll be back in an hour,” I promised. Paid my admission and climbed aboard. They funnel you down a gangway in the stern that they installed into the Aft Torpedo Room. You work your way forward from there. It was empty when I got there, so I started taking photos and looking around. Very cool stuff if you’re into that kinda thing and I was enjoying myself. I moved into the next compartment where one of the volunteers was working. Now, if you know me then you know I speak the truth when I say that I can talk to pretty much anybody, pretty much anywhere, about pretty much anything. I started asking questions and we immediately hit it off. He started explaining the workings of a WWII attack sub, I kept asking questions and he ended up taking me through the entire boat, compartment by compartment, from aft to bow, telling me everything. At one point there was a gangway going down a deck that was roped off: the battery compartment & machine shop. He took me down there, showed me the batteries. I saw the bunks, the engine room, the map room. 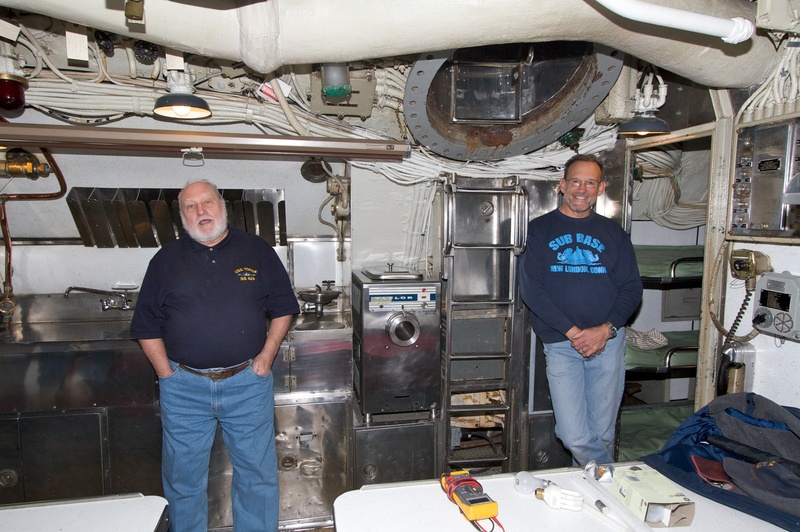 Hung out in the Galley with him and the other volunteers. The Radio Room. Past another roped off ladder, this time up, into the Conning Tower where I saw the “computers” used to determine the attack parameters. They let me look through the periscope. I was in heaven. While in the Conning tower my phone went off. MLW asked where the hell I was. I had been gone for not quite 2 hours. Time to go. It was a great 2 hours, though. Fascinating hardware, lots of stories about how things worked, boat and crew. I had the boat to myself (2 other folks came through the entire time I was aboard and they blew by) and the volunteers were great. If you get the chance, take the tour. It made me really appreciate a small portion of what those poor young guys went through. It must have been terrifying. Next time, I want to go aboard the SS John W. Brown, one of only two restored Liberty Ships in the country, which is docked nearby. I’ll budget more time for that one. 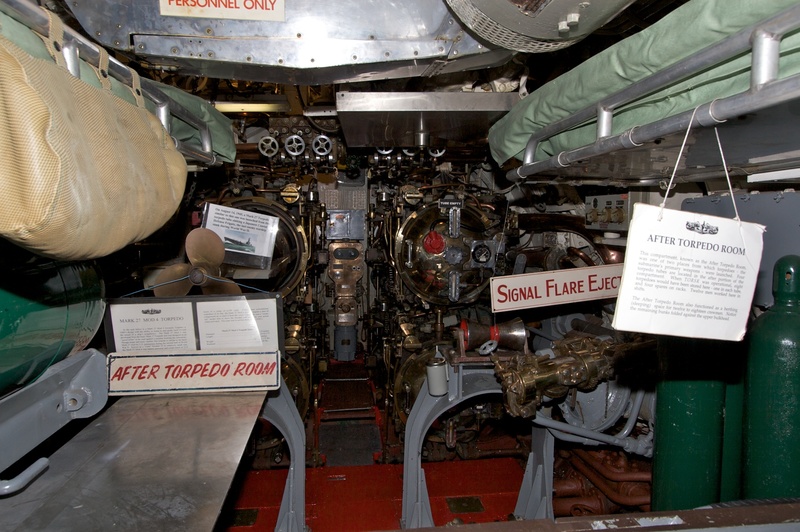 Below: The Aft Torpedo Room. Note the bunks upper right & left. These were cramped and uncomfortable. 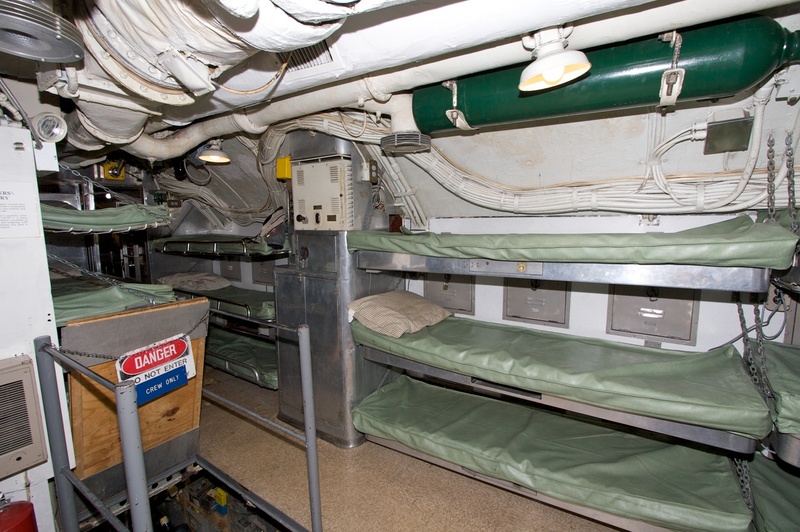 Above: The “comfortable” bunks. Considered spacious, it just shows that everything’s relative. Note the gangway on the left that leads down to the battery room. Below: Hanging in the Galley. My guide is on the left. Below: The Conning Tower. It was very cramped. I’m not that big of a guy, but I had to move sideways when passing the periscope. 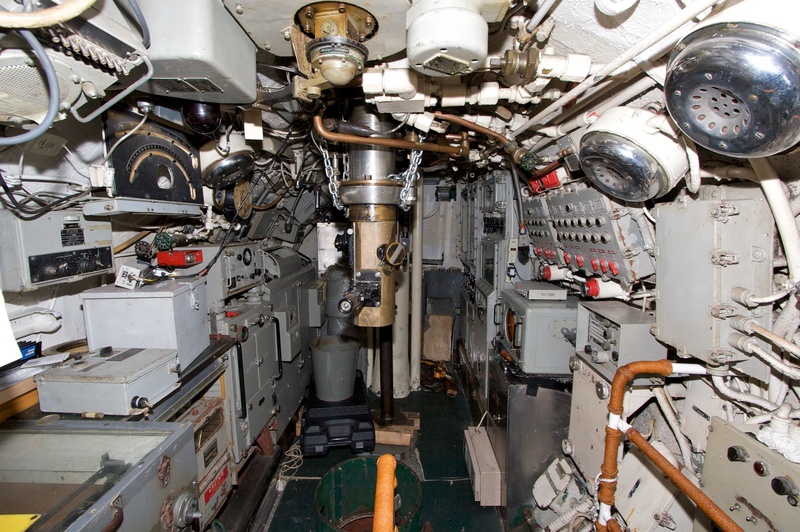 Geek Note: The interior of a submarine is an interesting environment to shoot in. 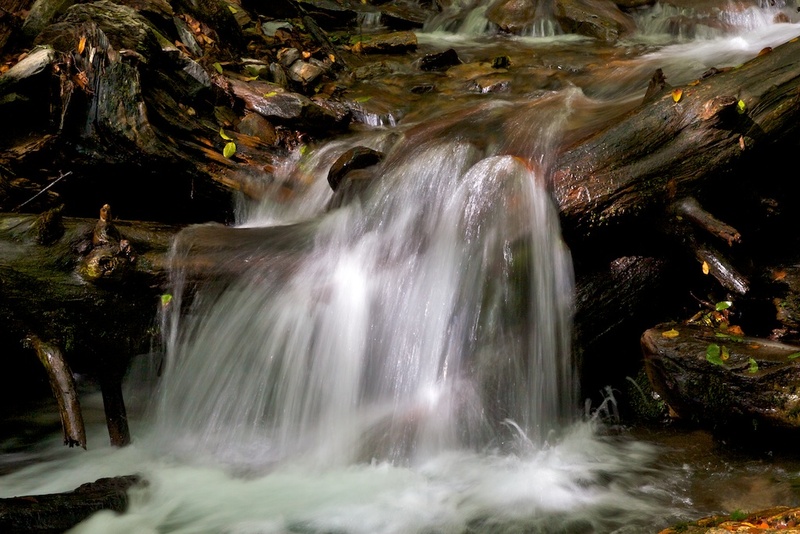 The 10-22mm lens and good flash made it possible. Love that lens. Sorry for not posting recently. It’s not for a lack of material, rather a lack of time and discipline. We have a lot of material to post here, we just need to get off of our butts and do it. 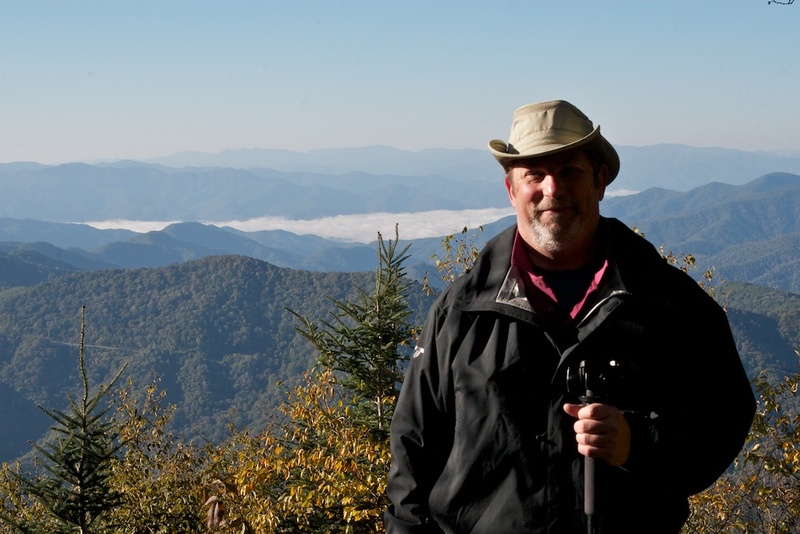 I spent last week on what has become my annual solo trip to the Great Smoky Mountains National Park. 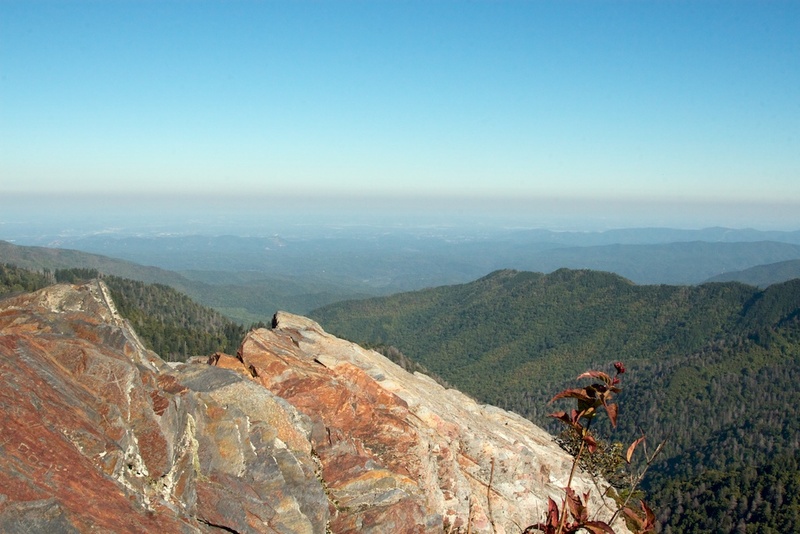 I try to go between Labor Day & the changing of the leaves in order to avoid the crowds. This typically involves dodging hurricanes heading towards Florida, since I promised my bride that, after an unfortunate incident involving my being out of town during a hurricane, I would not travel if there is a storm heading our way. Unlike previous years, this was not an issue this time. Which is not to say that the weather was not a player in this year’s trip. This annual adventure has rapidly become a highlight of the year. I can do day hikes at my own tempo (slow, not like other crazy people in this family) and take lots of pictures of landscapes that are notably unlike Florida. Trust me, when you’ve seen one alligator you’ve seen them all. 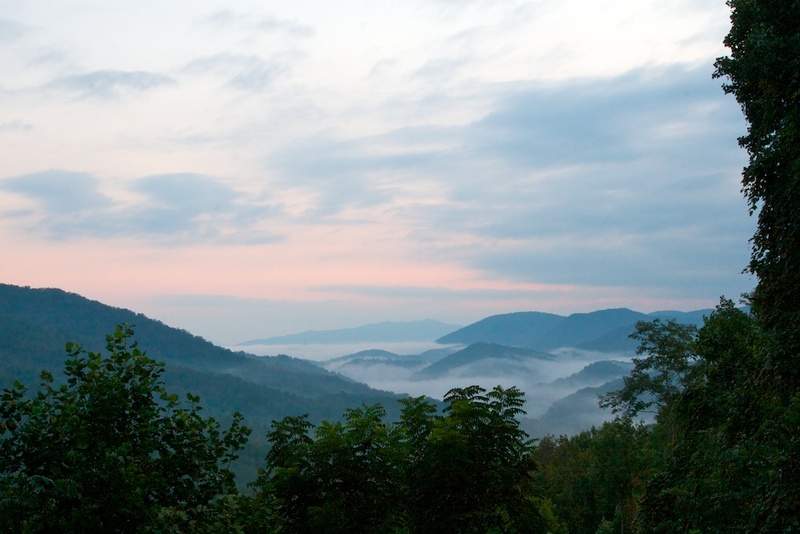 I have a beautiful campsite in the Elkmont campground that I return to each year. At night I sit by the fire with my adult beverage and eat well. Very well. Over the course of my three full days, I hiked about 19 miles of trails, took a horseback ride (just me & the guide…very nice), took 340 photos (of which a couple are pretty nice), met many very nice people on the trail and walked in snow. Snow. Did I mention the cold? This Florida boy camped in 35 degree weather. While it was refreshing after our typical hot, humid summer, it was a bit shocking during my middle of the night sojourns out of the tent. This was the first year that I didn’t see any bear. Darn.